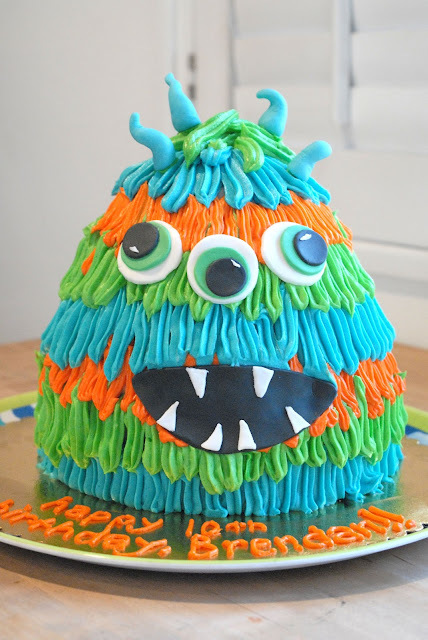 I regret not taking more pictures of this cake because it was so cute and so much fun to make! It's a not-too-scary-super-cute-fuzzy monster for my son's 10th birthday party. His birthday is in October, and he had a Halloween/monster-themed party. 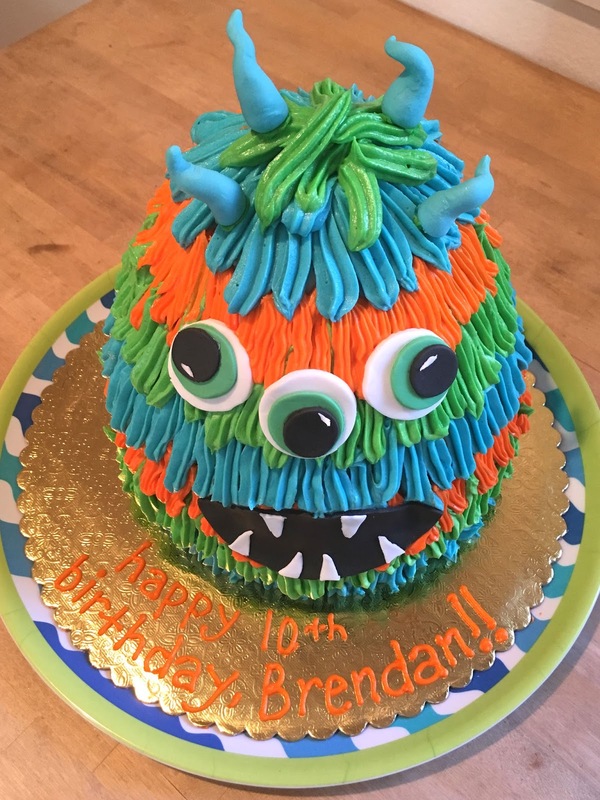 I made a pretty tall round, 8" cake with a dome cake on top to make the shape of the monster. The dome was baked in a bowl with approximately the same diameter as the cake pan. I was able to carve the cake slightly and fill in the rest with frosting. As I assembled it, I included a cardboard round about halfway down for added support. 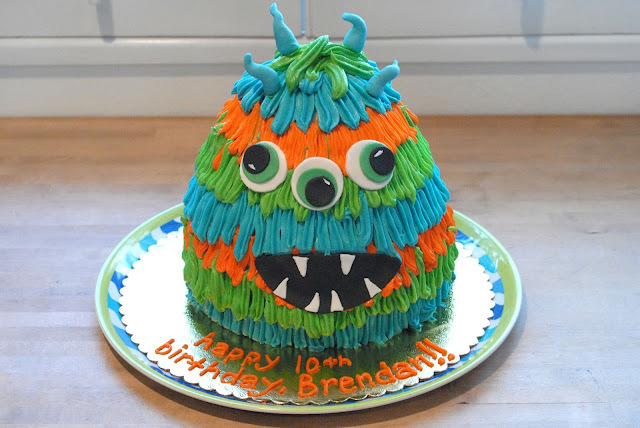 I crumb coated it, piped the frosting, and then layered the fondant mouth, eyes, and horns over the frosting. How cute are those horns? I just love the turquoise with the green and orange! this might be one of my top favorites ever!